An edited version of this article originally appeared at LobeLog. 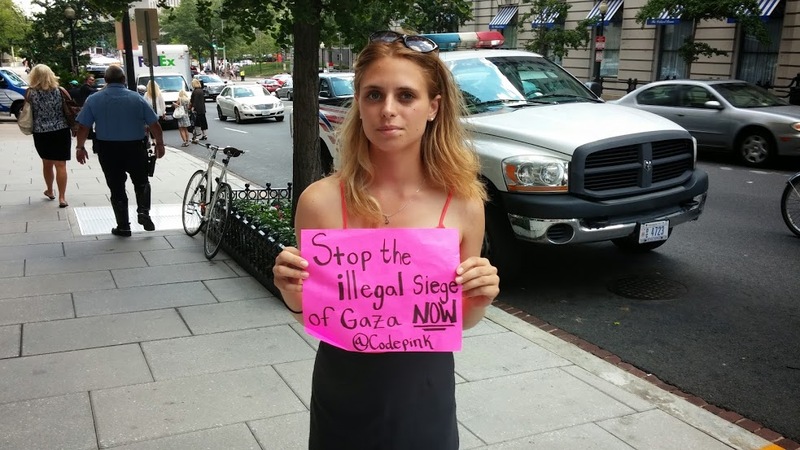 A protester from Code Pink outside the National Leadership Assembly for Israel. On Monday, I attended the National Leadership Assembly for Israel. The gathering was more than a little disquieting. The names in attendance were big ones. National Security Adviser Susan Rice, House Speaker John Boehner, Former Chair of the House Committee on Foreign Affairs Ileana Ros-Lehtinen, current Chairman Ed Royce, Senator Ben Cardin, Ambassador Dennis Stephens of Canada, Israeli Ambassador to the U.S. Ron Dermer as well as leaders of the Conference of Presidents of Major Jewish Organizations (COPJ), AIPAC, the Jewish Council on Public Affairs and others all spoke. One of the most troubling aspects of it was that they mostly all had the same thing to say. This piece was initially published at LobeLog. Please check it out, as it’s an indispensable source for foreign policy news and analysis. You won’t regret it! 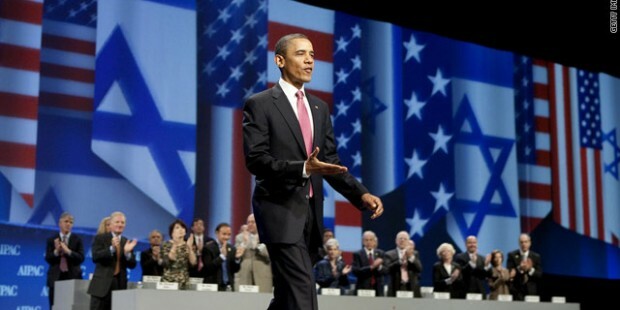 President Obama speaking at a previous AIPAC conference, He won’t be there this year. issue that dominates the proceedings. The US-Israel relationship is taking the second spot. And the Palestinians? More than ever before, they will be invisible. There are a few sessions at the conference that deal with Israel’s occupation of the West Bank in very general terms. But Iran will be the focus, as evidenced by related bills which AIPAC had some of its most loyal members of Congress introduce in advance of their lobbying day. Those bills work to give Israel a green light to attack Iran if it feels the need to and puts the “special relationship” between the US and Israel on paper.